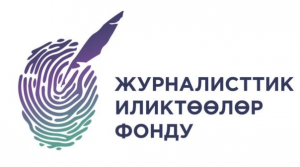 The Committee for Freedom of Expression’s Protection held the Second Freedom Forum today, on August 30, in Bishkek well-known public figures, politicians, civil activists and representatives of the independent media where attended. According to the organizers, this forum is held the day before the celebration of the Independence Day of the Kyrgyz Republic in order to remind the public and the authorities about the value of freedom of speech and belief. Ex-speaker of the parliament, Medetkan Sherimkulov, stated that it was completely incorrect to close the TV channel September only because a man, who had had nothing to do with this television channel, expressed his opinion on the air more than a year ago. That action did not have any negative consequences for the country. He considered it as an unacceptable thing to exert pressure on the media through the courts, since it would have negative consequences eventually. The leader of the Ar-Namys party, ex-deputy of the parliament, Felix Kulov, pointed out the responsibility of the judges for the decisions that they took against opponents of the government, politicians and independent media. He proposed publishing lists of the judges who made unjust decisions. Concerning the closure of the September TV channel, Kulov also pointed out that the court has the only right to restrict an access to the information materials that had an extremist or terrorist orientation under the current law. He emphasized that court decisions should be pre-empt by the warnings according to the law, but the channel could not be closed under no circumstances. The ex-deputy supported Sherikkulov's appeal to the president to pardon convicted oppositionists before resigning. In his opinion, President Almazbek Atambaev should withdraw the claims that were presented to the journalists for the insults inflicted on him by them civilly. A deputy of the Parliament Janar Akaev, expressed a great regret that time the republic loses the only conquest - freedom of speech at the present. He said that the authorities had intimidated not only parliamentarians, but also journalists. The media representatives use self-censorship and self-restraint in the freedom of speech; avoid publishing acute critical materials, for fear of the pressure from the authorities and multi-million lawsuits. Akayev reminded that Kyrgyzstan dropped from the 85th position to the 89th position for the last year in the freedom of the media rating. More information about the forum can be found here.